bott is your system provider for efficient working. With our consulting expertise and our full service, we ensure that our van racking and operating equipment are perfectly matched. 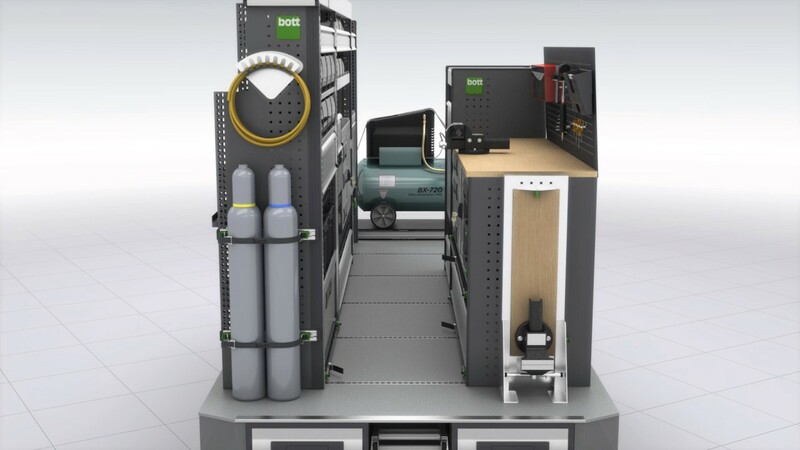 The modularity of the bott vario van racking is unique, so that the storage space in the service vehicle is used effectively - including load restraint. For the workshop and for industry, our ergonomically-designed products ensure that employees are healthy and motivated. With our offices throughout Germany and a dense network of distribution partners, we are always nearby. In addition, subsidiaries and importers represent us throughout Europe and in many other countries.